While violence in videogames has long been a point of contention among worried mothers and social psychologists alike, developers always seem to try push the envelope just a little bit further with each new release. Doom was burnt at the stake in the wake of Columbine, and Grand Theft Auto gets called out daily for perpetuating a culture of wanton violence. But while some may argue that there is more to these games than just intense murder-lust, every now and then, a truly gruesome game steps boldly into the scene to shock and awe consumers. Cue entry for the latest game from Polish studio, Destructive Creations. 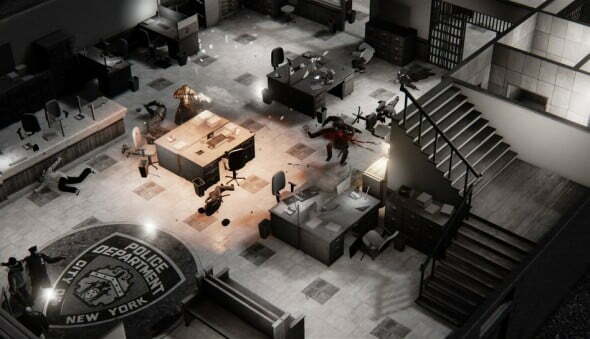 Hatred, an isometric action shooter focusing on a mass-murderer and his bloody rampage against civilians and law enforcement, was recently taken down from the Steam Greenlight page despite its rise to popularity and thousands of votes. While you can read the developer’s response to Valve’s decision to pull the game, we here at GIZORAMA were lucky enough to sit down with Destructive Creations’ CEO Jarosław Zieliński to discuss his thoughts on the matter, and where the game might go next. Johnny Ohm: In your response to Valve after Hatred was taken down from Greenlight, you mention that Manhunt and Postal are still available in the Steam store. What sets Hatred apart from these shooters to a point where they are still on the market while Hatred isn’t? Jarosław Zieliński: We really would like to know that too. Maybe Hatred is more suggestive than Postal? Maybe because Manhunt is about killing bad guys only? But technically – violence is the same. Hatred reached top 7 in a couple of hours and received 13,148 votes on the Greenlight page before being taken down. Did you ever expect an idea like Hatred would be so popular, or did you anticipate more opposition? JZ: We anticipated much more anticipation, while only 7C% of voters were ‘no’ voters. That was a surprise, along with Steam itself being the biggest opposition [he says with a smile]. People obviously want the game, but for those who say it’s just perpetuating mindless violence, what you say in Hatred’s defense? What’s next for Hatred and the Destructive Creations team? Now that it’s not available on Steam, where will fans have to go to find a copy and unleash their gaming fury? JZ: We some ideas. Being banned on Steam doesn’t mean that our world ended. We’re still making games and are sticking to the plan. Just the main idea of publishing will change and will be announced very soon. And keep your eyes open, in January we’re going to release the second big trailer, along with pre-orders and exclusive t-shirts for people buying those pre-orders! Thanks for taking the time to sit down with us and discuss the latest news, I know a few of us are looking forward to seeing the final product in action! 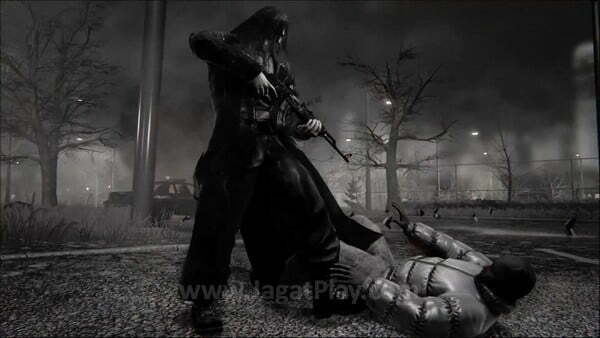 Hatred, a game that goes “against trends” and steps away from the “polite, colorful, politically correct” games seen today, utilizes open world maps and in-game physics made possible with the new Unreal Engine 4. The game takes place in New York State, and is said to have a non-linear set of objectives where “You are the villain”.